Welcome to The Grande Cache Victim Services website. We are a non-profit organization registered with Alberta's Society Act. Our team of committed, caring volunteers work hand in hand with the Grande Cache RCMP detachment to assist people who have been victimized, traumatized or simply unable to cope with an emotional crisis. Grande Cache Victim Services is made up of members from the very community they have committed to serve. They are friends and neighbours who have dedicated their time to being the compassionate heart in the body of Alberta's criminal justice system.  The mission of Grande Cache Victim Services is to provide a highly skilled, compassionate level of service to any victim of crime or tragedy, through our dedicated and trained staff and volunteers. Our Victim Services Unit is a policed based, non-profit, charitable society that works with Grande Cache RCMP to provide support, information and referrals to residents of Grande Cache during their time of crisis, trauma or tragedy, whether they are victims of crime, sudden death or family crisis. Sexual Assault. Our resourceful volunteer staff are skilled in providing sensitive, caring support, appropriate aid and practical information to the victim wherever it is needed; as well as providing referrals and follow-ups to guide you through the ordeal. Sudden Death: When tragedy strikes a family, our skilled volunteer case workers cooperate with RCMP members with notifying next-of-kin; even staying behind to offer support and a sympathetic ear. Besides emotional comfort, our advocates can guide those in grief through sometimes painful investigative procedures and explain the work of the Medical Examiner's office. Domestic Disturbances: In the case of strife in the home, our volunteer agents can faciliate a move to a safer environment such as a shelter, and offer constructive assistance to remove the immediate threat of danger. They can also connect victims to the resources appropriate to their situation including information regarding their rights, the facts surrounding abuse in the family and ways to enhance their personal safety. Common Assault: Our volunteer advisors are trained to furnish more than just a caring shoulder but also substantive assistance and information that is vital to the victim and their negatively impacted loved ones. After the crisis, we are committed to following up with our clients to ensure they have the tools they need to get over the rough patch. File Updates: Victim Services representatives can inform their clients regarding their file status which they are entitled to by law and act as a liason between the RCMP and the victim. It is a friendly face in your corner when you need it most. Court Information: The volunteer members in our program will aid the RCMP and the courts by walking their clients through the system and provide vital information and, caring support. They will guide our clients through the court appearance process, help prepare a victim's impact statement, advise on financial aid that may be available and how to apply for restitution.